Today I present a very fine blended Scotch whisky. 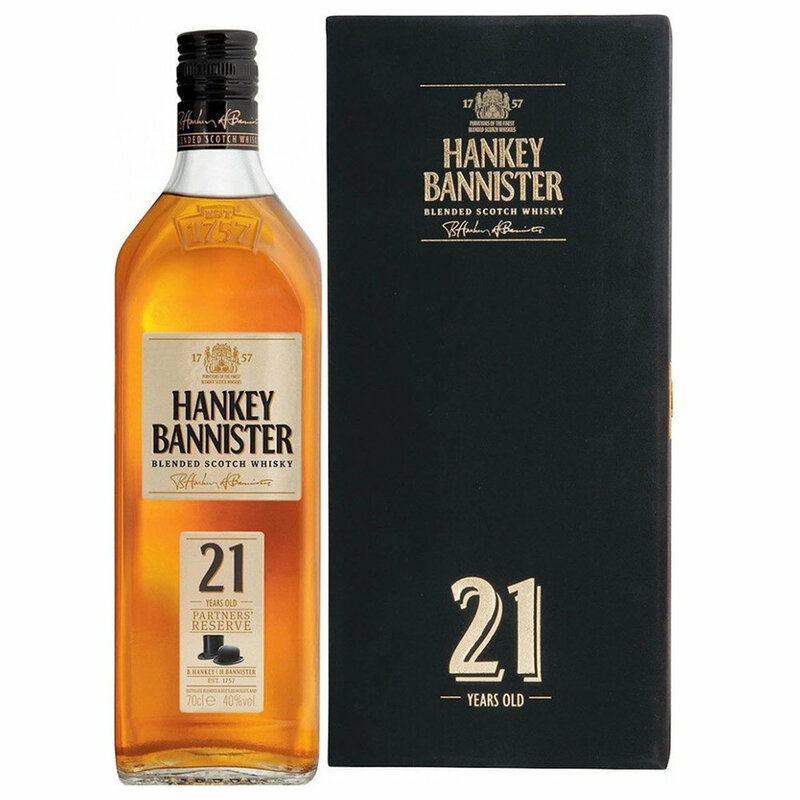 Hankey Bannister 21 YO has been matured in Spanish oak ex-sherry and ex-bourbon casks and American ex-bourbon casks. Hankey Bannister is crafted from the finest Highland Malts, including single malts from our Old Pulteney, Balblair, AnCnoc, Speyburn and Balmenach distilleries. These are then expertly combined with the more delicate Lowland Grain whiskies to produce our unique blend. Nose: Caramel, banana and cinnamon. Well, that's what first strikes me. Then, I start peeling back the layers of aromas and I find leather with hints of wood smoke and an unlit cigar. Demerara sugar, vanilla and hints of red berries. And finally - hints of floral perfume. This is a complex dram. Taste: Rich and full-bodied with a creamy, nay buttery, mouthfeel. White pepper, apples and bananas. Mild notes of herbs and cut grass. Finish: Medium to long finish. Caramel popcorn and nutty butter.